The bright line between ASD and “mental illness” is a myth. 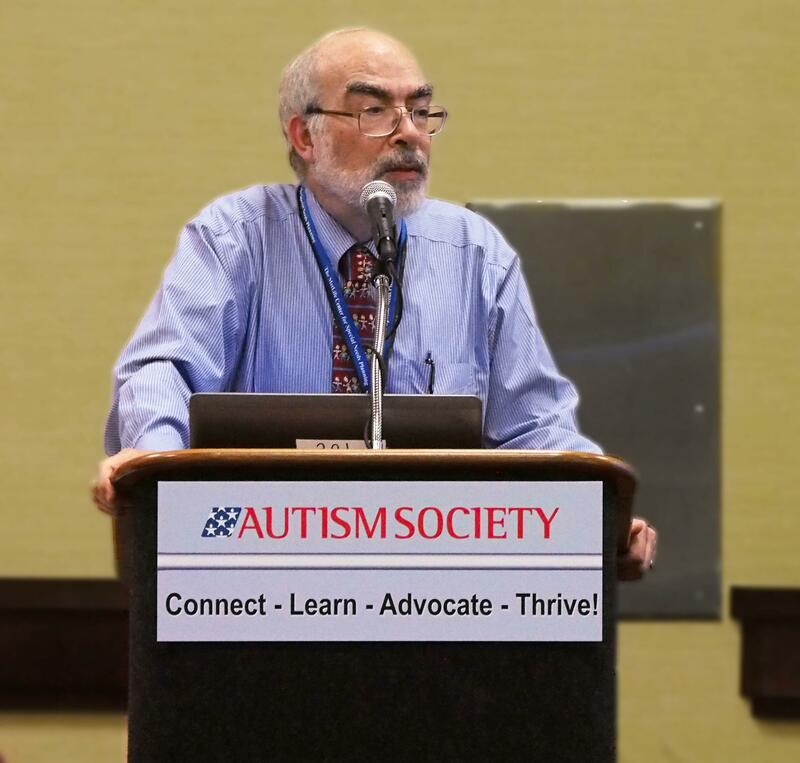 DSM-5 perpetuates the “gumball model” of psychiatric diagnosis: A given patient may have one or more discrete disorders, that happen to co-exist. “Co-Morbidity” is the necessary fiction on which this model rests. In reality, disorders shade into one another along a continuum, or undergo metamorphosis over time. 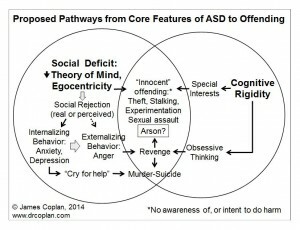 ASD, Schizophrenia, ADD, Bipolar Disorder, Generalized Anxiety Disorder and Depression have shared biological roots. 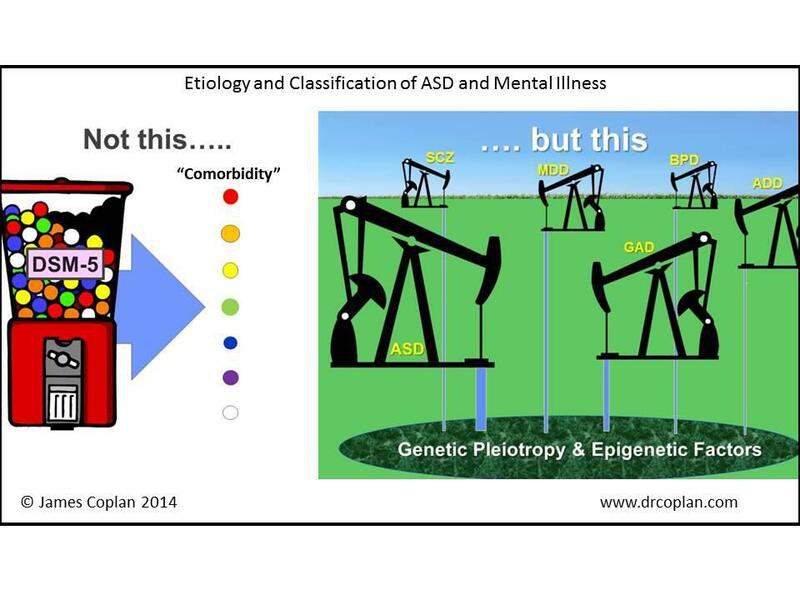 A given genetic defect can give rise to disorders that “look different” on the surface (pleiotropy). Conversely, disorders that look the same on the surface may actually be due to very different underlying genetic mechanisms (phenocopies). 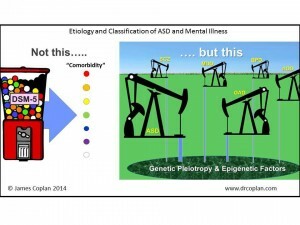 Myth and Reality in the etiology and classification of ASD and mental illness. 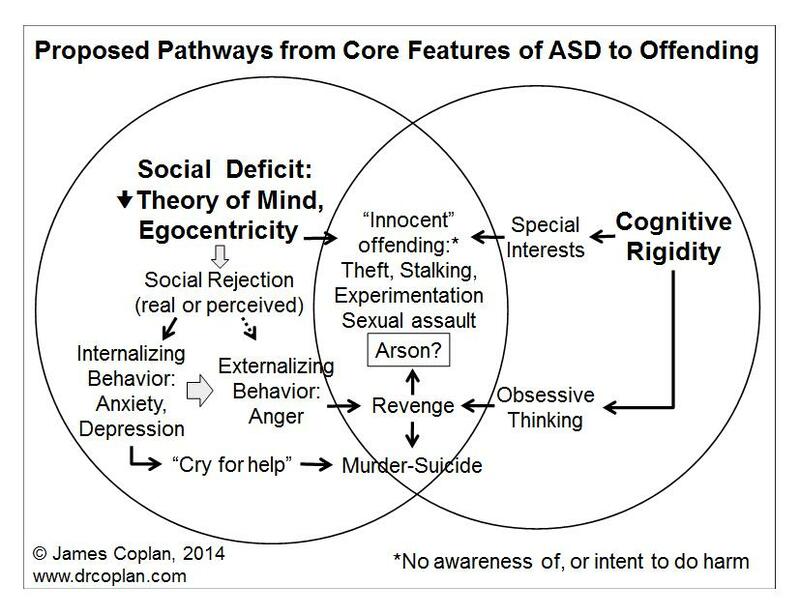 Dr. Coplan traces the pathway from internalizing to externalizing behavior. Despair and rage are intertwined, leading to tragic final outcome. Take a look at the diagram. I’ve added a big arrow leading from Internalizing Behavior to Externalizing behavior. In this scenario, despair and rage are inextricably intertwined. Newtown, Virginia Tech, Isla Vista, Red Wing, and Columbine were not just “mass shootings.” They were suicides. That fact tends to get ignored, or, if someone raises it, the person who does so gets shouted down as being too sympathetic to the shooter. This is misguided. The only way to reduce the recurrence risk of “the next Newtown” is to take an unbiased view of the shooter’s behavior. (It drives me nuts to hear people characterize Adam Lanza as “evil.” I have blogged at length on that subject, here.) Internalizing behavior often goes through a long gestation period before it finally bursts out as externalizing. The real tragedy is that internalizing behavior is often overlooked until it’s too late. I’ve also added a smaller, dashed line from social rejection directly to externalizing, but people who externalize right away may be letting off pressure – like a volcano with a vent on the side of the mountain. They sometimes commit violence, but it doesn’t seem to be to the same scale as someone who has been internalizing for a long time. The mass shooters we read about in the headlines are almost always described as quiet, unobtrusive people who had never hurt anyone before their one and only cataclysm. Click on graph to view full size.